We can help you establish an IRA and determine if you should be using a traditional (pre-tax) or Roth (post tax)! The Traditional IRA is not going to be taxed today, grow tax differed and then when you retire and take distributions, you’ll pay the taxes then! Money going into a ROTH IRA is going to be taxed today, but its going to grow tax free, and all distributions in retirement will be tax free too*! Everyone’s financial situation is different, and one may be better for you than the other! We’re fully licensed investment advisors, so if you need to purchase investments like stocks, bonds, ETF’s, and Mutual funds, we can do that for you and we will educate you along the way! Have an investment account already and just need a second set of eyes or someone to help you manage it? That’s also right in our wheelhouse. Can you continue to maintain your lifestyle, save or pay your bills if you weren’t getting your paycheck anymore? Disability insurance replaces your income in the event you were sick for a long period or injured and unable to work. Many people have a group plan through their employer, but it really isn’t enough. We help determine what’s right for you and making sure you have adequate coverage. Having cancer or being seriously hurt from an accident is awful, and it’s worse when money becomes a problem. So we are living years longer than we ever have before, and needing help! The cost of care when we age, whether you want a nurse coming to your home, assisted living or need full time nursing home care; it’s extremely expensive and can evaporate your hard-earned assets FAST. Medicaid also may not be your # 1 choice, so long term care insurance can help pay for care and keep life comfortable and safe (in your own home!). This can no doubt be a great gift to your kids, because even though you may like to harass them, you may not want to be a burden. The insurance is complicated and can be designed many ways, we make it simple and help you come to a decision you feel confident in. These plans can have some nice tax perks if you plan on sending your kids to college, however they must be used for college! If this is a goal, lets chat about what option may be best for your family. Are you a NYS teacher for one of the public schools and want to start saving for retirement? You have a 403(b) as an option, and we can help set that up for you! We’ll talk about the investment options, how much you should think about saving per your individual situation and how a 403(b) works! We make sure achieving for financial goals is non-negotiable. 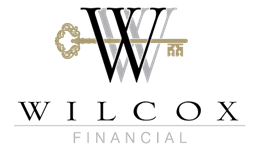 Our financial planning services are listed under the “Fee based financial planning” section on our website. It’s our mission to make sure you aren’t meeting with us just one time and never hearing from us again, but understating your financial situation in terms you understand! We provide financial coaching to work with you throughout the year, checking in to make sure you’re staying on track to reach whatever it is that’s important to you. We keep it simple, fun and practical! If your business isn’t ready for the full commitment yet of a 401(K) plan a SIMPLE IRA or SEP IRA are pre-tax employer sponsored plans that don’t have annual administrative costs. These plans are simple to maintain and each have their own set of pros and cons we will review with you! Group retirement plans that can be pre-tax and have a ROTH savings feature too. Qualified retirement plans are a great way to attract and retain employees. We work with business owners to either set up a plan that meets the company’s goals and vision, OR review a plan that is currently in place to see if we can add value! Often, we’re able to enhance the plan service, review investments, plan design and options that may be more in line with how the companies changed over time. We also constantly audit plans to see if fees can be lowered! Employees have a lot on their plate, and many benefits are offered to them for health, retirement and protecting their family. However, what about their current financial situation or knowing if their retirement is properly funded? We have many different financial wellness programs for employees that can be in group workshops or individual planning for select employees as an extra benefit. Financial wellness is no joke and the benefits can be exponential in the workplace.